Canyon-SRAM has taken the victory at the last edition of the team time trial of the World Championships. The team beat Boels-Dolmans and Team Sunweb in the event. 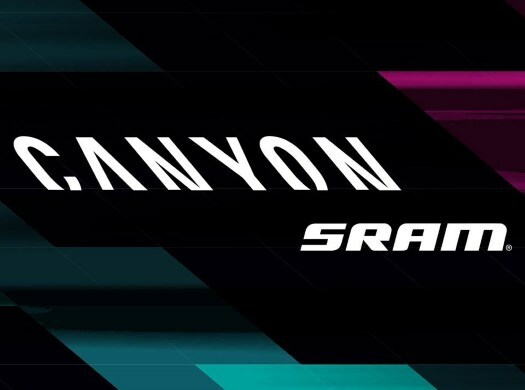 The six riders of Canyon-SRAM crossed the finish line together and completed the 52.9-kilometre route in one hour, one minute and 46 seconds, with an average speed of just under 53 kilometres per hour. "It's the best performance that I've seen for a long time," said Team Manager Ronny Lauke. "We have been busy preparing for this. I'm very satisfied. The riders rode simply great today. "I'm also pleased we brought in Aerodynamicist Dan Bigham who I believe has also introduced a new way of thinking. We dedicate this title to all of our team's partners, especially Canyon and SRAM. They have been supporting us for the past three years and this victory goes to them." The German team was 22 seconds faster than Boels-Dolmans and beat by 29 seconds Team Sunweb, who were the champions of the 2018 edition of the event. "It is something that I have been chasing for a long time," said Elena Cecchini. "It’s like everything came back today. I always believed that it would come and we would be able to have this feeling. "When you go through hard times you sometimes start to doubt it. But today was all up, up, up. Our preparation, our equipment, our ride. An amazing day. I can now go into the offseason in peace!" For Trixi Worrack this is a mixed-feelings victory because it is her last competition with the team. "I think people didn't expect us to win," she affirmed. "But we knew if we had a good day, then we were definitely a chance to do really well. We had a perfect day today. In no other training day did we have a day like today. We were getting feedback on the split times on the radio, but I could also feel that we were riding well. "In the group, it did not feel that fast because we were so smooth and you could recover so well at the back. When I looked down at my speed, it was always so high. It was a great ride from everyone. At the podium, I was crying because I was happy we won but also because I was sad. It was my last race with Canyon-SRAM. The tears were very mixed. This win means a lot."